Troy’s Fingerboard Logic Workshop was the most succinct, logical and effective instruction I have gotten in 30+ years of music. He packs more practical and useable material into a workshop than you’d likely get in months of lessons. " "After Troy's workshop I saw the fretboard in a whole new light. I recommend running not walking to sign up for his workshops. " 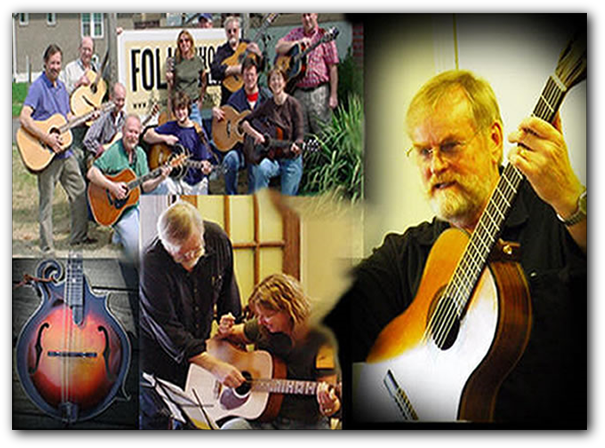 I've taught over 1,000 private students, and scores of workshops around the country, helping aspiring guitar, mandolin and electric bass players become more skillful, confident performers of folk, bluegrass and country music. I've performed professionally throughout the US and Canada, both in bands as a lead guitarist, mandolinist and bassist, and individually as a singer/songwriter. I teach local students in my home at Lake Monticello, Va., and workshops in locations chosen by my clients.